June 9, 2014 bcalvanocoaching2 Comments on Weekly Angel Oracle Card Reading for June 9 through 15. Weekly Angel Oracle Card Reading for June 9 through 15. 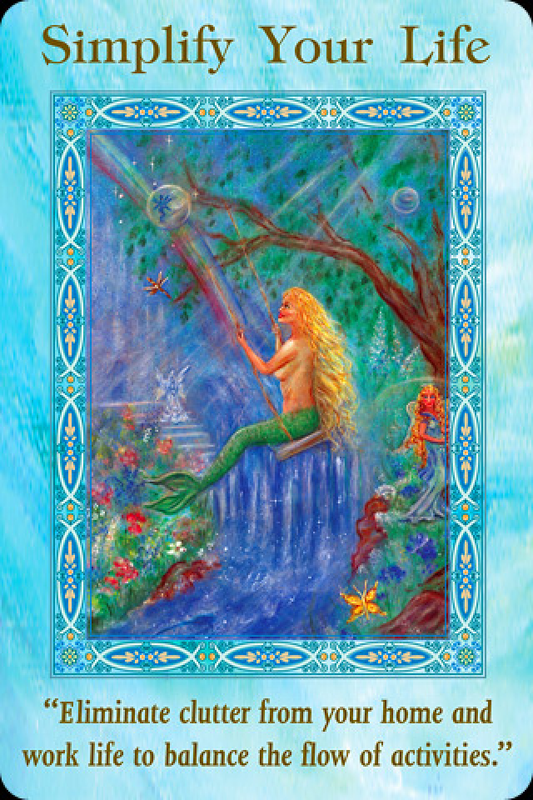 I am guided to work with the Magical Mermaids and Dolphins Oracle Cards this week by Doreen Virtue. 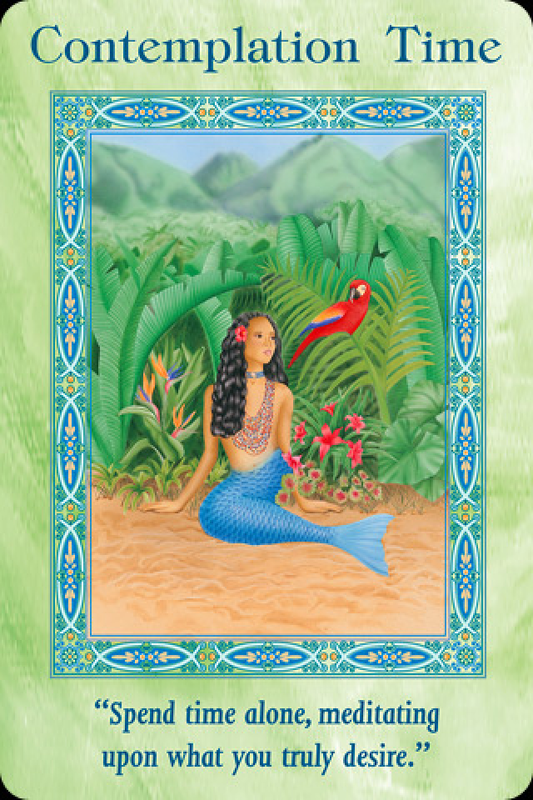 The mermaid and dolphin energy supports us in the manifestation of our desires, life purpose and Divinely inspired dreams. 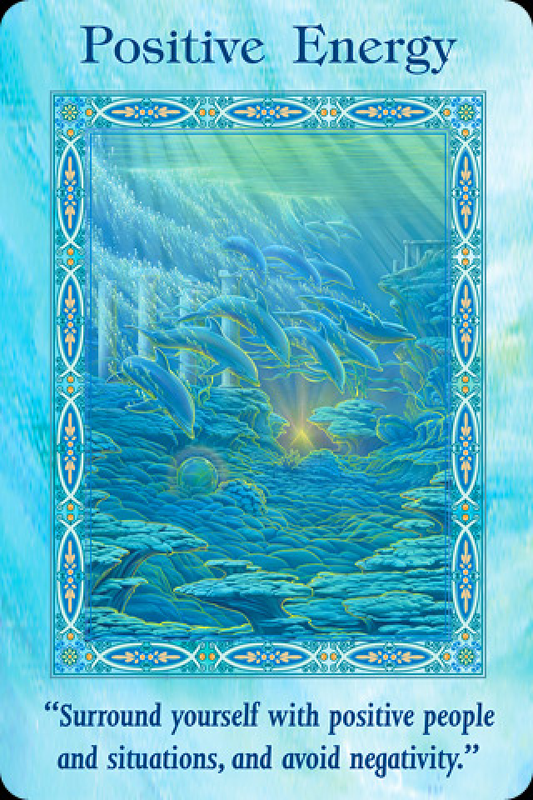 Dolphin energy also assists us in developing and trusting our intuition. For Monday and Tuesday we have the message, “ Positive Energy: Surround yourself with positive people and situations, avoid negativity .” This card encourages us to examine where we may have energy that is not uplifting and get rid of it! By only allowing positive energy in our lives in the areas of friends, relatives, media, environment and our thoughts we are more apt to be able to fulfill on our dreams. Anything less than light and loving energy will drain you and take away your precious life force, chi, ki, prana – that is available for you to fulfill your life mission, which includes being happy and peaceful! It is so easy to get caught up in gossip or negativity as it is everywhere. It is the normal ‘ordinary’ way people act or really react, in this world. It takes an ‘extraordinary’ person to say, ‘No’ to negativity, drama, suffering and struggle and to be responsible to take the appropriate actions to create and maintain a world of bliss. Do you ever eliminate it completely in your world? Of course not, but for you, your integrity will have a foundation of grace and ease. You will be able to observe when you have attracted negativity in your life and gracefully shift and clear it. For Wednesday and Thursday we have the message, “Contemplation Time: Spend time alone, meditating upon what you truly desire.” This follows the first message perfectly. We are encouraged to spend some time alone meditating and with a pad of paper and a pen. Write down your inner most dreams, desires and ideas. We are half way through the year! Are you on track with what you have set out to do for the year? Write out all your wishes and goals . You may already be clear about some actions you need to take. Write it all down. Don’t worry about how it all will happen. Be in the joy and excitement seeing it all complete and allow the Divine realm to assist you. Most people are not very clear about what they want and therefore receive unclear results or whatever will come their way! You get what you think about and take actions on, so you may as well have the highest and most beautiful vision and thoughts for yourself and the world. If life is showing up as a constant struggle and suffering, shift your thoughts to what you truly desire. Eliminate what no longer serves including being a worrier or fearful. You have free will to create the life and a world of your dreams. For Friday and the weekend, we have the message, “Simplify Your Life: Here we are continuing the message of getting rid of what no longer serves us, that is not a match in vibration of our dreams. This is talking about ridding clutter in each and every area of your life. If things are not manifesting as quick as you like, stop and take an ‘energy’ check of what’s in the way. There is Diving timing of course to the manifestation of our desires but we can clear the space for them. Let go of people, places, things and thoughts that truly do not serve you anymore. Especially people with no integrity that we keep waiting to show up( our addictive nature to always ‘hope’ people will change), foods and drinks that don’t give you aliveness, and home items and clothing that do not reflect your true essence. The angels are saying this is really important as all of it is a reflection of you…..so change these energies so you can attract what you actually desire. Have it all be bright as a diamond! This is a mid June wake up call of letting go of that negative energy. Be the change you want to see in the world. The message for the week is to take some time alone to get very clear about who you want to be, want you want to attract and take some actions to clear away all that does not reflect who you are- your true essence. The old you is no longer a reflection of your deepest dreams and desires! Shine bright like a diamond and allow life to reflect back to you its joy abundance! I am available for speaking events, angel parties, classes and workshops. Thank you, Lisa! And also for sharing with me! Next Weekly Angel Card Reading for June 15 through 22.